Julie Ann Staska, West Fargo, ND went to be with her Lord on Thursday, November 1, 2018, surrounded by her family. Julie Slieter was born on Nov 22, 1962 to Gordon & Norma Slieter in Sioux Falls, SD. She grew up in West Fargo and graduated from West Fargo High School in 1981. She graduated from Josephs Beauty school in 1982. She married her high school sweetheart, Dean Staska, in 1983 and they were married 35 years. 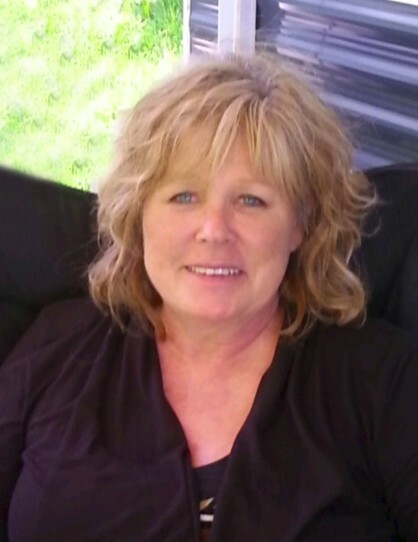 Julie was a long time resident of West Fargo where she worked as a paraprofessional with special needs students at LE Berger as well as Friendship, where she helped adults with special needs live independently. Julie loved working with people with special needs and won the hearts of many. She had a special gift for helping any and all persons in need. She expressed that she learned so much about life from the time she spent working with special needs students and adults. Julie loved flowers, especially the color of soft pink, as evidenced by her beautiful garden and home décor. She loved playing games, crafts, antique shopping and traveling. Julie developed many close friends in her lifetime; to know her was to love her. Julie was selfless in her devotion to family and friends, she will be missed dearly by those who had the pleasure of knowing her. She and Dean truly enjoyed sharing their home with others, entertaining and hosting events. Julie is survived by the love of her life and best friend Dean Staska, of West Fargo, sons Matthew (Jenn) Staska, Joshua Staska, of West Fargo, five grandchildren whom she loved dearly and loved spending time with; Fischer, Fynley, Stella, Ava and Deacon; her mother Norma Salquist, of Fargo, sisters Lori (Brad) Vangerud, of West Fargo Barbra (Bart) Hoffman of Santa Clarita, CA and brother Scott (Dawn) Slieter of Cornelius, NC; her mother-in-law, Elaine Staska, of West Fargo; brothers-in-law Kevin (Deb) Staska, of Raleigh, NC Dave (Lisa) Staska, of West Fargo and sister-in-law DeAnna (Bobby) Walton and many nieces & nephews. She was preceded in death by her father, Gordon Slieter, stepfather Vince Salquist, and father-in-law Lloyd Staska.